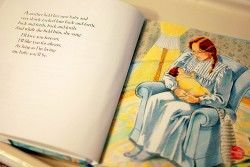 In honor of Mother’s Day in the USA, we put together a list of recommended reading featuring memorable moms for our students. Not only are these books works of genius but they tell the stories of some of the most fascinating heroines in English literature who were also moms. Love You Forever by Robert Munsch: a children’s book about a very special Mom. At the time that this book was published it stole the hearts of every reader who bought it. It continues to sell thousands every year. Beloved by Toni Morrison : Seth. Luckily, there are also lots of fictional memorable moms such as these listed that stand out for many noble traits such as their grit, their devotion and the huge positive influence they have on the lives of others. Happy Reading! Happy Mother’s Day!